Is your child one that spends hours playing in the bath tub and you end up having to 'drag' them out? Or perhaps they are the total opposite, and you need incentives to get them into the bath… Either way, our bath time buddies will be a welcome sight. Whether you choose a duck, frog or turtle, the soft terry bath glove construction is perfect for lathering up and getting your child 'squeaky clean'! Once the bathing is complete, your child will have fun getting wet and surely want to spend some time playing with their new puppet friend! For a sudsy lather and to nourish their skin, get some all-natural goat milk soap! Some children just do not like baths no matter what, while others will spend hours playing, and you literally have to pull them out! Either way, our bath time buddies will make your child’s bath experience a great one! For those challenging situations, use our bath time buddy as a way of luring them into the tub; using it like a puppet, it won’t be long before they are completely engaged with their new friend. Our bath time buddies are made of a soft terry cloth and are specifically made for the water. The glove makes it easy for you to lather it up so that you can get your child ‘squeaky clean’. Once you have finished bathing them, they are sure to want to play with their new bath time buddy! 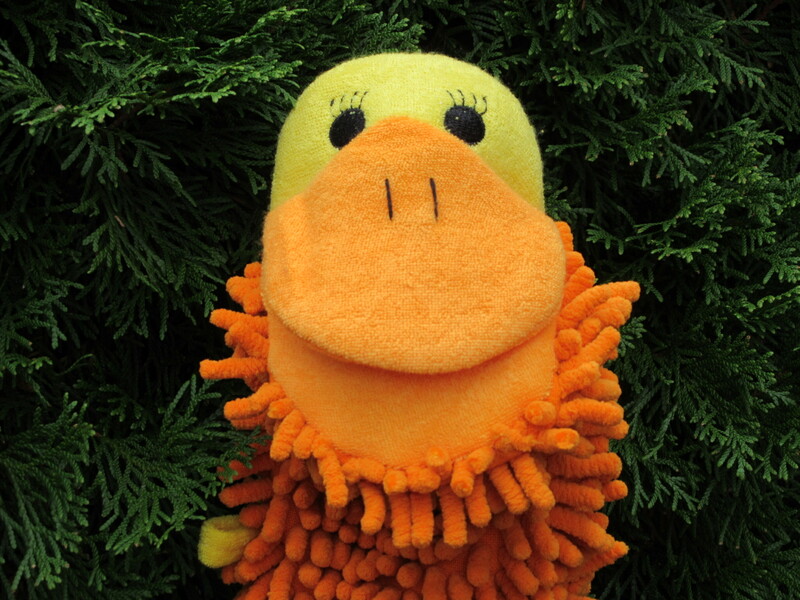 Choose whether you would like your bath time buddy to be a Duck, Frog or Turtle!